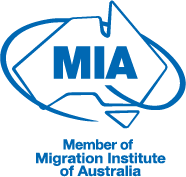 These are permanent visas for people who are not sponsored by an employer, but have skills in occupations required in Australia. There are various types of skilled visas that provide permanent residency independently, or pathways to permanent residency - without having a sponsoring employer. have the skills and qualifications for an occupation listed on Australia's Skilled Occupation Lists. Most skilled visas require you to score at least 60 points in the points test. The most crucial step is the skills assessment. During this process your employment skills and education will be assessed by a third-party Australian body to determine whether your qualifications satisfy the requirements of an occupation listed on Australia's Skilled Occupation Lists. Given the importance of the skills assessment, Pathway's team are experts in both properly evaluating your personal circumstances to fittingly choose the correct skilled visa path for you and accurately formulating the documentation necessary, to give you the best chance possible of being successfully assessed. Our distinctive legal and migration skills set us apart from our competitors, as only Pathway has the experience and qualifications necessary to provide you with the comprehensive and precise assistance you will need in every step of the visa application and relocation process. For an obligation-free appraisal of your CV, skills, employment and education history, and to see whether a skilled migration visa is right for you, simply contact Pathway's professional team.